Home / News & Events / Phoenix Sportive 2019 – Open For Entry! Phoenix Sportive 2019 – Open For Entry! 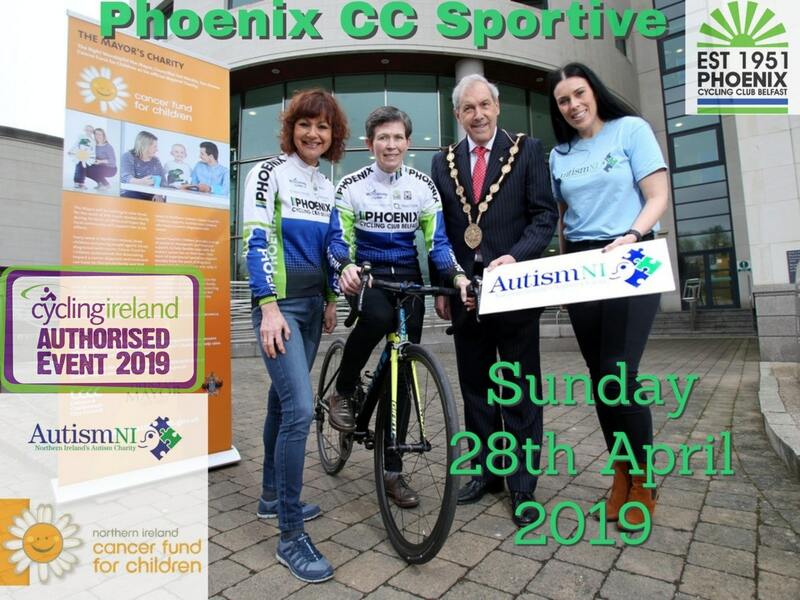 Phoenix Cycling Club is delighted to once again host its annual Sportive on Sunday 28th April 2018. This year two routes will be offered – one of 80km and longer route stretching to 110km. The entry fee for each courses is £20. The Sportive will start and end at the Lisburn Racquets Club taking cyclists through picturesque Co Down, skirting the commanding Slieve Croob mountain, known locally as ‘The Twelve Cairns’ before turning North East to avoid the Mountains of Mourne to return to Lisburn. The 80k route will leave Lisburn towards Annahilt to the crossroads at Kinallen (“beautiful headland”). It will then head onwards toward the hamlet of Katesbridge, which is named after Kate McKay, and then onto Castlewellan for refreshments at The Lodge. The route will then proceed via Annsborough, Spa and Ballynahinch before returning to Lisburn Racquets Club for a post ride meal and the opportunity to regale your cycling companions with your achievements.